The bandwidths that telephone lines and wireless networks are capable of supporting nowadays have encouraged the development of videoconference and video chat programs. CamFrog Video Chat is one of them and it allows you to get in touch with friends and make new ones. 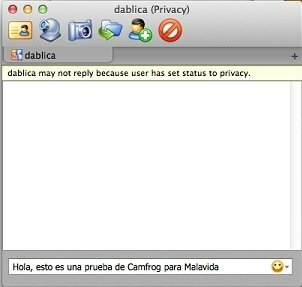 CamFrog Video Chat for Mac combines two aspects of Internet communications. One the one hand, the possibility to establish contact with any person individually be means of a webcam and a microphone. 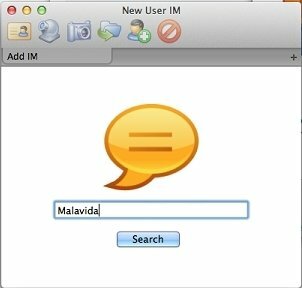 On the other, the classic chat room system in which you can exchange public or private messages. Make video and voice calls. Instant messaging system between users. Chat rooms organised by geographical areas. Possibility to find people with similar interests. Notification system based on sounds and pop-up windows. A great way to get to know people like you. Can't you find a chat room where you feel comfortable? Don't worry because CamFrog Video Chat allows you to create your own with whatever theme you want. This helps you to get to know people with interests similar to yours. Download CamFrog Video Chat for Mac and make the most of all videoconference possibilities.